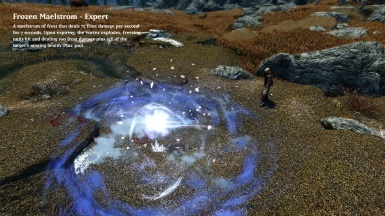 Years in the making, Arcanum is a massive spell mod that aims to combine unique gameplay with visual effects of a quality never attempted before in Skyrim. 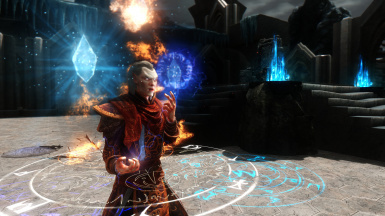 With 100 spells complete, 300+ spells planned, and inspired by everything from Dragon's Dogma to Planescape, Arcanum may be the most ambitious magic mod ever made. Sol Invictus damage to 50 fire damage per second. Sol Invictus now deals 100 sun damage per second to the undead. Sol Invictus range to 24 feet from 30. 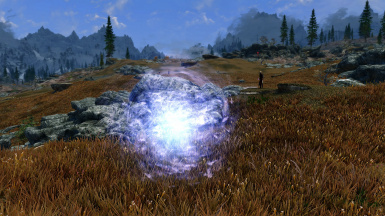 Glacial storm explosion now deals from 100 to 500 frost damage, based on the target’s health percentage. Fixed a bug preventing master spells from being put into Faralda's inventory for sale upon completion of the master ritual quest. Three New Reformulated Spells Added - Maelstrom's Eye, Water Spout, and Worldfire. Maelstrom's Eye - Summons a locus of electric energy. For 20 seconds, it hits all nearby units with lightning bolts once per second that deal 25 shock damage and reduce shock resistance by 7%. Waterspout: Summons a tornado of water that deals 80 frost damage per second and slows units in it by 75%. Every second, affected units have a 25% chance of being knocked into the air. Worldfire: Inflicts all units within 100 feet with a burn that deals 80 fire damage per second for 10 seconds. Your health total becomes 10. Cauterize damage from 50 to 45. Healing unchanged. Sol Invictus damage from 100 per second to 60 per second. Sol Invictus now reduces the fire resistance of all units under it by 100%. Unstable Current Magicka cost from 35 per second to 40 per second. Bugfix: Bug causing paragons in the Forgotten vale to not work correctly has been fixed. Bugfix: Plugin is now in form 44 for SE users. 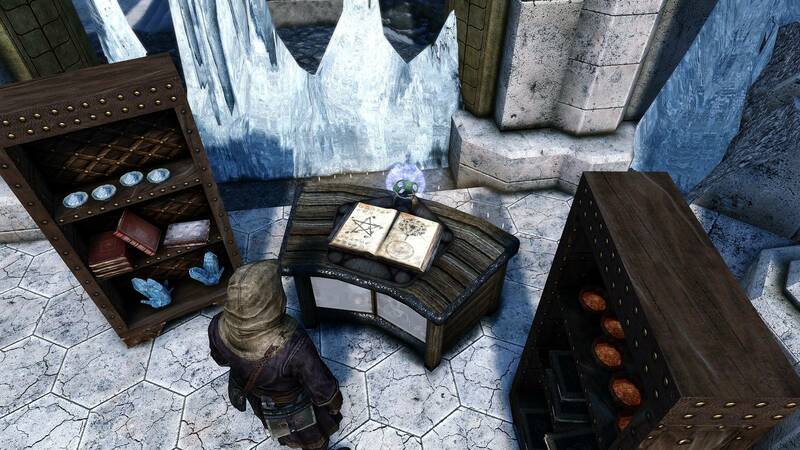 A new Arcane Escritoire has been added in Tel Mithryn. 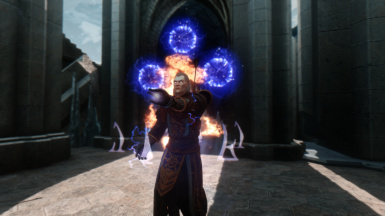 Have you ever downloaded an exciting spell mod full of creative and interesting spells - only to find yourself spamming fireballs over and over again anyways? Or wished that all the amazing visuals from a mod like Colorful magic were actually incorporated into something lore-friendly and balanced? 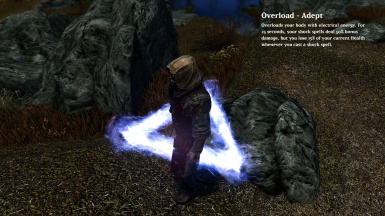 Too often in Skyrim, magic turns into a chore. A finger-tapping exercise of using the same spells over and over again, with no room for creative combos or adaptation. Arcanum seeks to change that. Rather than being just a collection of overpowered lightning bolts, Arcanum is designed to be a journey of magical experimentation. Different schools of magic, and different styles within those schools, have been given unique identities and gameplay mechanics, that lend way to creative combos and synergy. 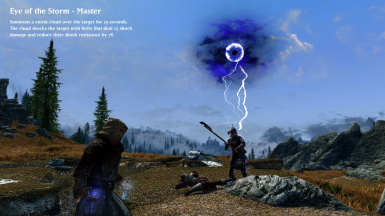 As a mage player myself, the mod is made with full awareness of other popular magic mods in mind, and intended to be a lynchpin that can breathe new life into older spell mods, too. 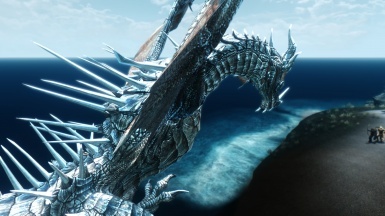 And, after years of experimentation, practice, and communication with some of the most prolific and talented artists and NIF wizards out there, Arcanum has some of the most unique and advanced visual effects of any Skyrim mod out there. Fully animated spinning tornadoes, giant crashing meteors and the ability to summon stars at will are only a handful of the powers at your disposal. 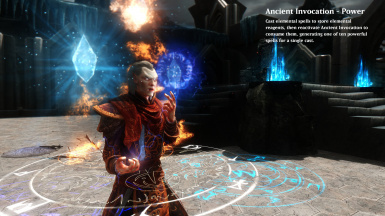 Of course, powerful magic isn't easy - and many of these spells require arcane rituals or other setup to use effectively. It's up to you to figure out how to make the most of these spells. And here's a quick demo. When designing the destruction spells, I split the school into three distinct styles along the elements. Each has a different playstyle, strengths, weaknesses, and players may choose either to focus and go all in on one element, or use the others to help mitigate their element's weaknesses. All playstyles will be rewarded with unique combos and payoffs. Fire spells in Arcanum are meant to be spammed. They have short cast times, high damage, and reasonable magicka costs. 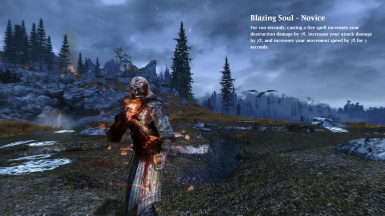 Many spells, like Blazing Soul, were specifically designed to reward the player for casting as many spells as quickly as possible. Fire spells tend to be the most straightforward playstyles of the bunch, but that doesn't mean there's no nuance. For example, fire has a slight healing theme, with spells like Radiant Helix and Cauterize. 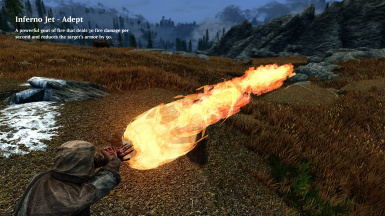 It's a good way to survive, but when you add Punishing Fire into the mix, all of a sudden these healing spells become absurd sources of damage. Frost magic has traditionally gotten the short end of the stick. 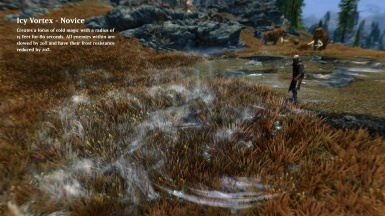 Stamina drain isn't very useful, and most enemies in Skyrim are Nords, with natural frost resistance. Frost in Arcanum is focused on area control and debuffs. Cover the ground with cheap spells like Icy Vortex and Gelid Gale, slowing enemies and reducing their resistances. Weaken them with Crippling Chill and Icy Cannonade. Finish them with Frozen Maelstrom and Crystal Spear, difficult to aim spells that take advantage of slow, weakened enemies. Shock magic has the ability to deal unmitigated percent health damage, which the other elements cannot. 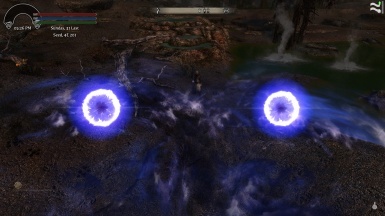 Shock spells also have various unique utilities, the ability to boost power at the cost of health, and spells that can trigger one another in loops. 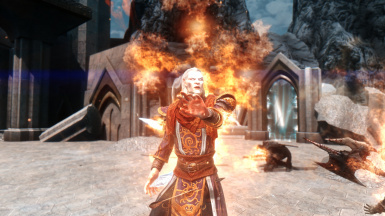 In exchange, however, shock spells cost more magicka, and lack as many good area of effect options as Fire and Frost. However, it does have access to one of the best enablers for other area spells in Twisting Tempest. Combine Fire and Frost, and hold them in place with Gelid Gales while hitting them with fireballs. Combine Frost and Shock, and use frost's ability to reduce resistances to further increase shock damage. Combine Fire and Shock, and use fire's healing to offset shock's health loss while hitting them with giant balls of fire and lightning. Blazing Soul: For 100 Seconds, whenever you cast a fire spell, you gain 7% destruction spell damage, 7% movement speed, and 7% attack damage for 7 seconds. 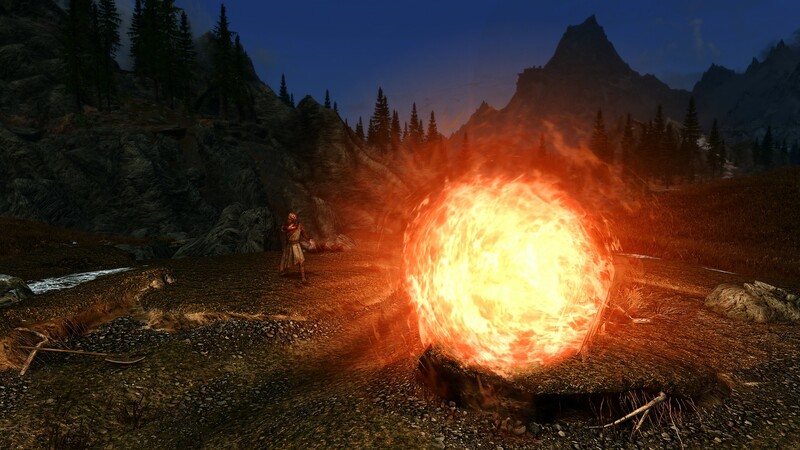 Cauterize: A ball of heat that deals 50 fire damage to the target, then heals them for double that amount over 10 seconds. Electrolyze: Places a charge on the target. Whenever that target is hit by a shock spell, it loses 7% of its current health. Induced Charge: A bolt of lightning that deals 12 damage to a target. If that target is under the effect of another shock spell, this damage is doubled. Icy Vortex: Creates a locus of cold magic on the ground for 80 seconds. Enemies inside are slowed by 20% and lose 20% of their frost resistance. Rimebolt: A ball of frost that deals 15 damage to health and stamina in 10 feet. 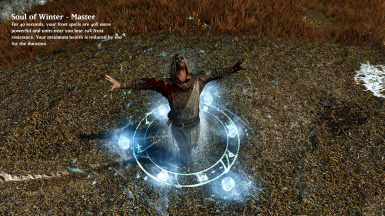 You regain 10% of your missing magicka for each target hit. 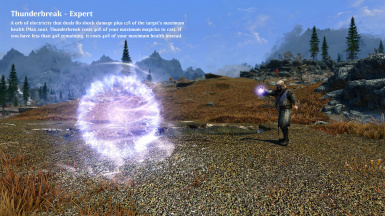 Magus Dart: An energy blast that deals 10 non-elemental damage plus 3% of your max magicka in damage. Combustion: A blast of fire in front of you that deals 50 damage. Blocking enemies are staggered. Warmth: Summons a ball of heat that restores 15 health per second too all units in a 15 foot radius. Crippling Chill: Target is slowed by 20%, deals 20% less damage, and loses 3 stamina per second for 20 seconds. These effects are doubled if they have less than 50% stamina remaining. Icy Cannonade: A blast of ice that deals 20 damage. The next frost spell to hit that target ignores 50% of their frost resistance. Unstable Current: Concentrate to unleash sparks that deal 8 points of damage per second and jump between targets. Caster's Sigil: for 15 seconds, casting a spell sends out a bold of energy, dealing 5 non-elemental magical damage. Inferno Jet: Concentrate to deal 30 fire damage per second in front of you and reduce the armor of units hit by 50. 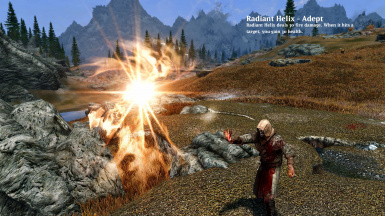 Radiant Helix: A bolt of fire that deals 30 damage and heals you for 30 health upon hitting an enemy. Gelid Gale: Sends out a cold wind that deals 40 frost damage in an area in front of you and leaves behind Ice Vortices that last 80 seconds. Whiteout: Summons a rending wind that deals 15 frost damage per second in a large area. Units with 15% stamina or less also have their magic resistance reduced by 25%. Overload: Increases your shock damage by 50% for 15 seconds. While active, casting a shock spell damages you for 15% of your current health. Static Orb: A ball of plasma that deals 35 shock damage and reduces its targets' stamina and magicka regeneration by 75% for 5 seconds. 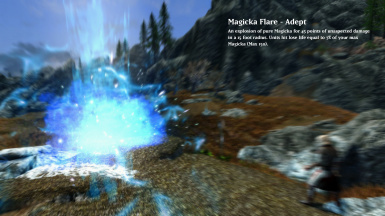 Magicka Flare: A blast of pure magicka that deals 45 non-elemental magic damage plus 7% of your maximum magicka. 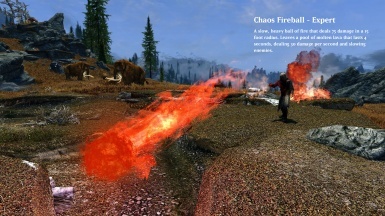 Chaos Fireball: A heavy ball of fire that deals 75 fire damage in a 10 foot radius, then leaves a patch of lava that damages and slows enemies. 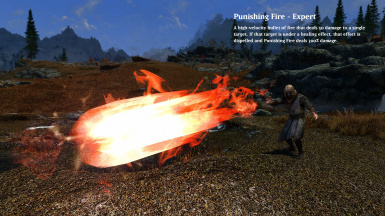 Punishing Fire: A bullet of fire that deals 40 fire damage. If the target is under a healing effect, this damage is tripled and Punishing fire dispels all healing effects. Glacial Ray: A long-range beam of cold energy that deals 45 frost damage per second, slows its targets by 75%, and leaves a patch of damaging barbs. Frozen Maelstrom: Summons a vortex of intense cold that deals 75 damage per second to units inside. 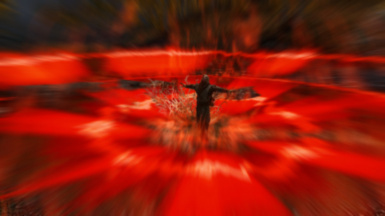 After 7 seconds, the maelstrom explodes, freezing all units hit and damaging them based on their missing health. Crimson Bolt: A bolt of red lightning that deals 50 shock damage to a target. This damage increases based on your missing health, up to 250%. Thunderbreak: A blast of electrical energy that deals 80 shock damage plus 12% of their maximum health. Thunderbreak costs 40% of your Maximum Magicka. If you have less than that, it costs 40% of your Maximum Health instead. Tri-Attack: A blast of all three elements that deals 15 damage of each element. This spell counts as all three elements, and benefits from all effects and perks that would affect a spell of any of the three elements. 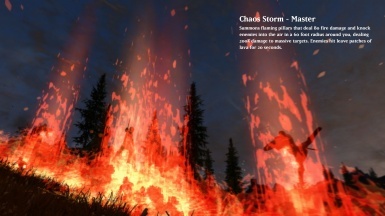 Chaos Storm: Summons flaming pillars that deal 80 fire damage and knock enemies into the air in a 60 foot radius around you. Enemies hit leave patches of lava for 20 seconds. 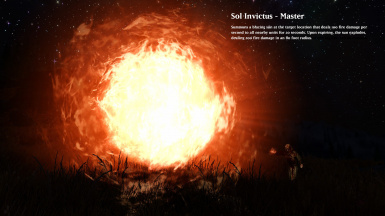 Sol Invictus: Summons a blazing sun at the target location that deals 100 fire damage per second for 20 seconds. Upon expiring, the sun explodes, dealing 200 damage in an 80 foot radius. 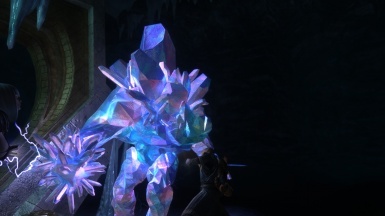 Crystal Spear: A pillar of frost that deals 120 frost damage. This damage is increased by 30% against slowed units. Soul of Winter: For 45 seconds, your frost spells deal 40% bonus damage and enemies around you lose 20% frost resistance. Your maximum health is decreased by 100 for the duration. Eye of the Storm: Summons a thundercloud above the target for 25 seconds. 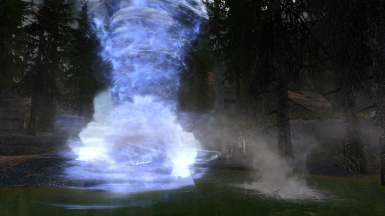 The cloud shocks the target with lightning bolts that deal 25 shock damage and reduces their shock resistance by 7%. 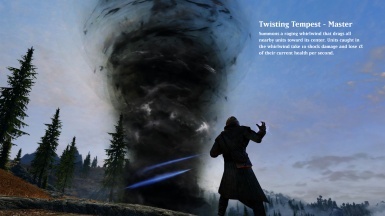 Twisting Tempest: Summons a raging whirlwind that drags all nearby units toward its center. Units caught take 10 shock damage and lose 1% of their current health per second. Dreadwyrm Trance: Increases your destruction damage by 35% for 45 seconds. If cast while already active, dispels immediately and equips Akh Morn for one cast. Akh Morn: A blast of pure energy that deals 440 non-elemental magical damage in a 20 foot area. Ancient Invocation: Cast Elemental Spells to store elemental Reagents, then reactivate Ancient Invocation to consume them, generating one of the ten Invocations. Scorching Shroud: For 62 seconds, opponents in melee range take 20 points of fire damage per second. 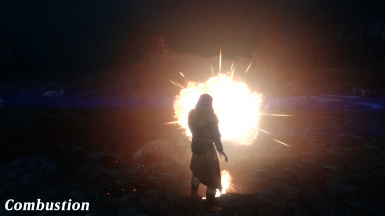 Whenever you cast a fire spell, the shroud launches a wave of flame in the direction you're facing. Conjure Magma Golem: Summons a Magma Golem for 90 seconds. It attacks with a split of fire and physical damage. Star of Extinction: Conjures a giant meteor out of the sky, dealing 2000 damage to all units in the 80 foot impact zone. Can only be used `outdoors. Lingering Frisson: Reduces target's frost resistance by 25% for 12 seconds. Weapon attacks deal bonus damage and have a 70% chance to stagger the target. 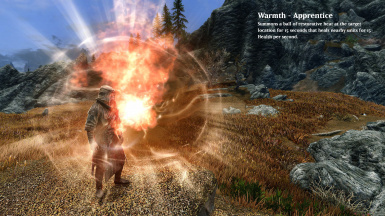 Cryostatic blast: An unstable blast of energy that deals 60 frost and 60 shock damage in a 20 foot area. Arctic Hysteria: Deals 40 frost damage and inflicts fury for 8 seconds. Upon expiring, affected targets shatter, taking damage equal to 20% of their missing health. Extractive Magicka Pulse: Conjures a rapidly collapsing sphere of energy. After three seconds, nearby units are burned for 500 magicka, and lose health equal to half that amount. Vingthor's Shackles: Spectral chains that bounce between targets and paralyze them for 8 seconds, dealing damage equal to 15% of their current health. Stormlord's Celerity: Increases movement speed by 25% and weapon damage by 25% for 45 seconds. Polyphonic Roar: A 150 point burst of non-elemental magicka in a 100 foot radius that knocks enemies away. Time is briefly slowed afterward. Banefire: A long-range stream of fire that deals 25 physical and fire damage per second and reduces the target's fire resistance by 25. ﻿Electrodominance: Places a charge on the target. Whenever that target is hit by a shock spell, it loses 5% of its current health. Frigid Gyre: Summons a rending wind that deals 25 frost damage per second in a large area. Units with 15% stamina or less also have their magic resistance reduced by 25% and their armor reduced by 50. 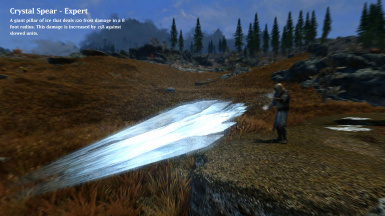 Ice Shuriken: A spinning blade of ice that deals 25 physical and 25 frost damage. Units hit also bleed for 3 damage per second for 3 seconds. Thunderraze: A blast of electrical energy that deals 70 shock damage plus 15% of their maximum health. Thunderraze costs 40% of your Maximum Magicka. If you have less than that, it costs 40% of your Maximum Health instead. Sol Illicitus: Hurls a flaming sun that deals 120 fire damage to all units in a 30 foot radius. Units near the center take increasing damage, up to 200. Tri-Disaster: A tri-elemental spell that summons a Twisting Tempest, a Sol Invictus, and a Frozen Maelstrom at the same time. On the frozen lake in the Forgotten vale, there's a unique frost giant who guards an opal paragon. Defeat him, and use the paragon on a ruined wayshrine nearby. Then, follow the path to the Invoker of the Ancients. Reformulated spells are a form of spell crafting I mostly envisioned to make more use out of the assets I developed, but quickly grew into something unique. It's a form of combining spell effects and visuals to create spells that are a fusion of other spells. So far, there are only seven Reformulated spells, but expect this number to increase over time as the mod grows. So far, there are only two places where you can craft Reformulated Spells. 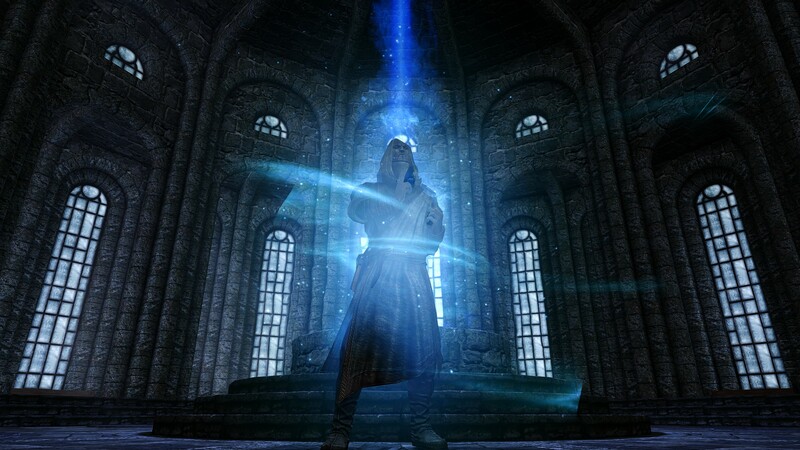 One is located in the Arcanaeum of the College of Winterhold. 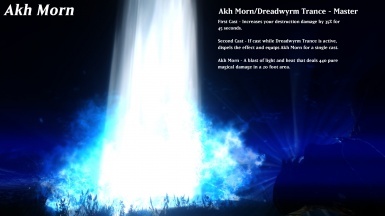 Arcanum should play nice with all other spell mods, perk overhauls, etc. Its specifically designed to work with things like spell charging, chaining, etc, or any other magic modifications you have installed. I might make my own perk mod one day, but that's off in the distance and would be a separate mod. Things like ASIS should also be fine, the only spell that's scripted to be player-specific is Star of Extinction - but that can be easily changed. 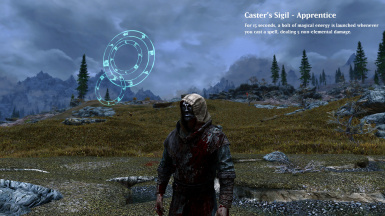 After this, the first order of business is to move onto restoration and finish all of those spells, while addressing any bugs that might pop up in the current release, and developing a Midden-like-room in Winterhold where Spells could be reformulated more easily. 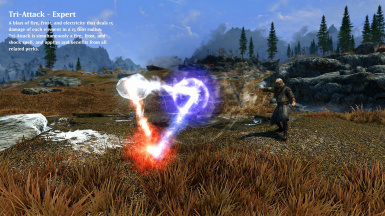 Perhpas future patches could incorporate Reformulation of spells from other mods.